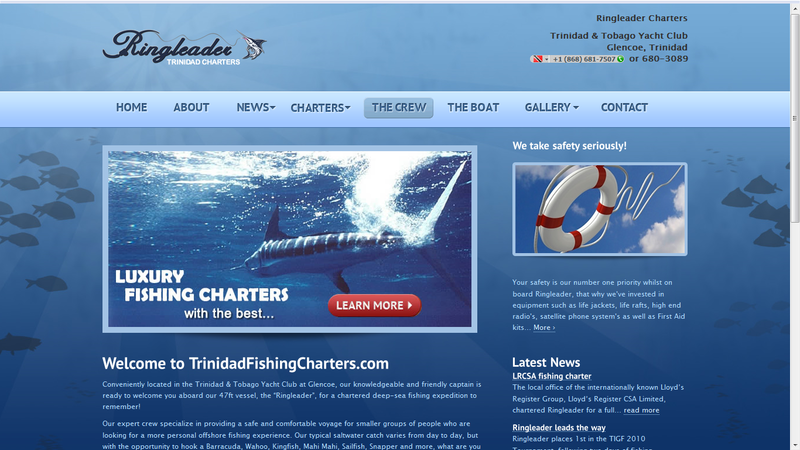 The next of my Kaus Media Group projects to go live is the website for Trinidad Fishing Charters. This small but fun-loving business provides day charters for deep sea or sport fishing enthusiasts – check out the photos in the gallery to see some of their amazing catches! Alternatively, for those wanting to take it easy, Caribbean style, the crew will take you on their beautiful vessel, the Ringleader, for a “liming” tour of the most beautiful beaches around the Trinidad & Tobago area. The brief for this site was to keep the copy simple, to the point and to let some personality shine through – the crew of the Ringleader are all expert fishermen who know how to party as well as catch fish!